Luminous garnet, pink-orange rim. The mellowness that comes with full-maturity yet still precise. Sumptuous and caramelized with a broad spectrum of unami flavors: it tastes like jamón bellota, dusted in coriander, served in a seaweed wrapper. The finish is a saturated terroir of acorn, iron-salt and carbonized earth. 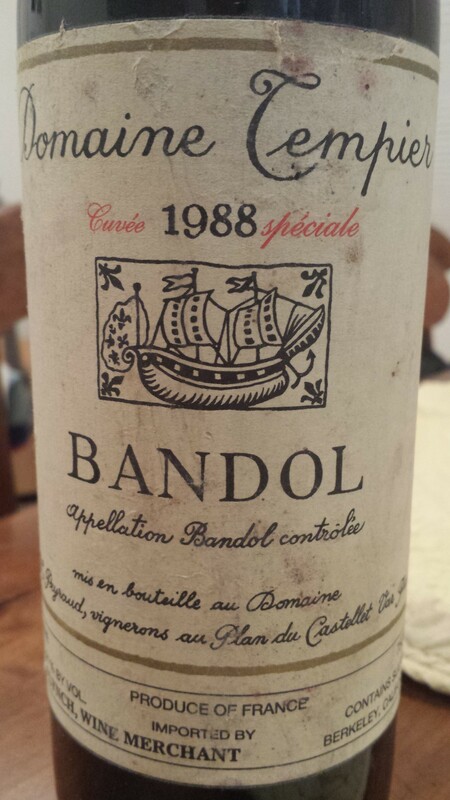 Overcome with character, this Bandol. For drinking soon; will keep beautifully.